Hopes for government stimulus (rather than actual evidence of improving economies) sparked short cover rally Monday-Tuesday, aided by lingering but false beliefs that the EU had actually made some meaningful progress. See IGNORE ALL RALLIES ON EU CRISIS “SOLUTIONS” UNTIL THREE THINGS CHANGE for a very brief summary of what must change before we can take any EU crisis measures seriously, and see PRIOR WEEK: 17 REASONS TO FADE THE EU SUMMIT EUPHORIA RALLY for more detailed list of criteria for discerning which, if any, EU actions actually make a material difference and which are sheer obfuscation. Markets wanted central bank easing and EU money printing or further loans to troubled nations. It was as if markets had given up on hopes for genuine economic improvement. Indeed good US data on Thursday that reduced QE 3 hopes and so was said to hurt markets. Part of the reason markets sold off Thursday was that once the easing news was out, that exhausted the current supply of good news, thus encouraging profit taking. Please correct me if I’m wrong, but I believe it was Einstein who defined insanity as expecting a different result from the same action under the same circumstances. Prior stimulus actions (as distinct from US guarantees of bank deposits to calm panic and avoid bank runs in the wake of the Lehman collapse) appear to have done little but temporarily prop up asset prices, at cost of more debt, risk of currency debasement, and excessively low rates that have not revived the economy but have greatly hurt pension funds, insurance companies, and anyone else (like an entire generation of savers) trying to accumulate savings for retirements. We won’t even discuss how these low rates have exacerbated underfunding of municipal pension funds and contributed to the growing list of municipal bankruptcies. As noted in the past, we find this belief that more stimulus is bullish, that further easing is a good thing, difficult to understand for anyone except very short term traders seeking to play very short term moves. Here’s why. We’re in a balance sheet recession – few want to borrow, and few banks want to lend. Most households and businesses want to reduce debt and build cash cushions against the uncertainties of a slowing global economy (which was well confirmed by the past week’s data and central bank easing). Most banks are trying to rebuild battered balance sheets by retaining cash obtained for virtually no interest and investing it almost risk free for higher rates. In sum, lower rates aren’t going to increase borrowing, velocity of money flowing through economies, etc, so why bother? We suspect the reason, as much as anything else, is to appear to be doing something. Sad. These hopes continue to be a factor, and Friday rumors of coming QE were credited for helping US markets to bounce off of session lows and cut their losses. Encouraged by downbeat comments from ECB head Draghi and weak China data earlier in the week, markets became suspicious that the central bank easing suggested that the Chinese, EU, and UK economies were weaker than widely believed, and this concern was widely cited as a cause for lower markets on Thursday. Note how despite widespread easing markets did not respond as positively as in the past, suggesting that many share my suspicion noted in part 1 above. It had no affect Monday or Tuesday bad PMI data helped ironically helped risk assets because Fed QE 3 hopes, but good data hurt Thursday because it dampened those same hopes. So in retrospect, what did we get? Besides another week older and deeper in debt? Nothing much changed, except that each week closer to a major sovereign state or bank default that will eventually happen, without any mechanism in place to prevent that default from causing an ever spreading wave of defaults that quickly moves beyond our means to control. Greece is the most likely first default, though the big concern is preventing destabilization of the EU banking system, or any of the larger EZ members like Spain, Italy, or (let’s face it) France or even Germany. Thus our advice remains unchanged, including shorting risk assets as EU euphoria based rallies lose momentum, particularly those most tied to the EU, like the EURUSD. I could go on, but time constraints force me to stop here. On now to our weekly preview on coming week market movers. Looks like there’s a lot to discuss, and it’s already 2 am here in Jerusalem. Most people have almost everything tied to just one or 2 currencies – that’s probably the most widespread investor mistake. 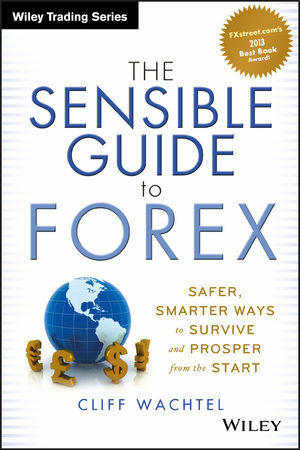 Here’s an intro to avoiding it with simpler, safer ways than commonly associated with most forex trading.